Fissore Fiat 600 2+2 Started in 1920 by the four Fissore brothers (Bernando, Antonio, Costanzo and Giovanni) to produce horse drawn vehicles, they began their first tentative steps into the car and truck world at the end of that decade. The 1950's saw them turning ever more to Fiat chassis', including the 1100TV based coupe of 1953 which was their first big success. Preictably, models followed based on the 600 (including Fissore 1600S Coupé a 2+2) and the Multipla (including the 'Sabrina', a 4/6-seater with redesigned bodywork), and then the pinnacle of their history, the 1500 and 1600S coupes and spiders. 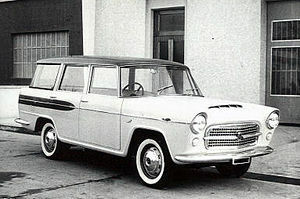 The first car, a coupe based on the Fiat 1500, was shown at the Turin Motorshow on 1959. The version with the Osca derived mechanicals (including a tubular chassis) emerged later in 1962. 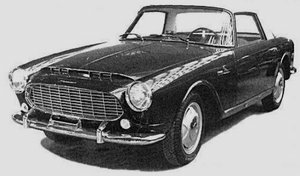 Around the late 1950's they also began building coupes and spiders based on the Auto Union-DKW with its 980cc three-cylinder engine. This was also built in Argentina, Brasil and Spain ! Following the gradual demise of OSCA, Fissore branched out and produced various cars such as a few prototype Vallelunga's, the Elva-BMW, some TVR Tridents, and various others in ever decreasing numbers through the late 60's and 70's (including the 500 based Fissore 127 Scout, Mongho 650 coupe and the A112 based Otas). 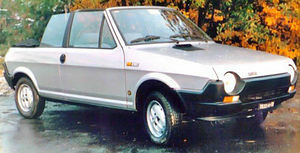 Throughout this time they also had a good relationship with Monteverdi for whom they produced various cars.